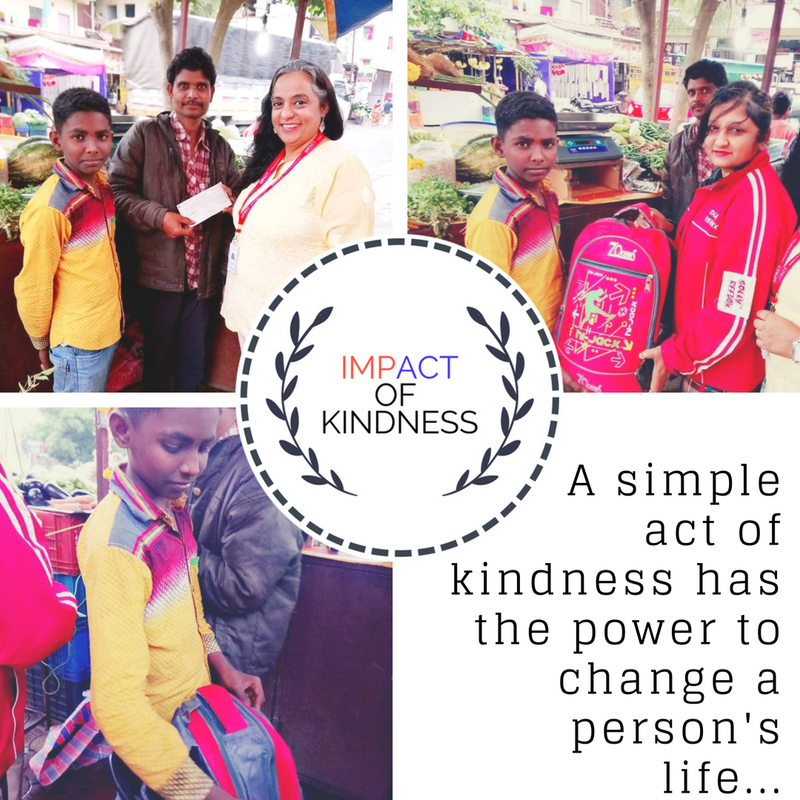 On completing its 18 years journey Impact PR announced the launch of "Impact of Kindness – Building the future together", an endeavor to give back to society through an act of kindness. Moving beyond our business activities with this initiative, our objective is to do our bit to support meaningful causes. We take this opportunity to thank everyone who has been associated with us – Our staff members, clients, media and our vendor partners for their notable support. All Impact PR employees participate, volunteer and suggest meaningful causes that are close to their heart and we at Impact make it happen for them. Kulpreet Freddy Vesuna, Founder & Managing Director, Impact PR was buying groceries one day where she noticed that a child was on duty. At the age of going to school, the kid was forced to work on behalf of his father. Eager to understand his situation, she spoke to him to which he replied: "I have stopped going to school as my father couldn't pay the fees". This did not go well with her and she constantly thought of ways to help the child. After deep thinking, she told the child's father, Sampat that she would like to contribute to his fees, books & clothes. Sampat was happy to hear that but refused to believe it was true. Next day the kid was at the shop again. She asked him why was he still selling vegetables. To which he said, that he did not really believe her and was under the impression that she just said all those things out of emotions. Kulpreet decided to take immediate action and asked him for all the required details. Archana Jawale (EA at #ImpactPR) helped in coordinating with all the requirements and made it possible for him to get back to his education.